Just because you put $25,000 worth of improvements into your home does not mean that your house is worth $25,000 more. It may not sound very exciting, but it's the basic improvements you make to your home that may have the greatest return on its value: a beautiful new bathroom won't make up for a leaky roof. Below are some examples of a few improvements that usually pay off and some that rarely make a difference (no matter how much you paid for them) when it comes time to sell your home. If you're planning to sell your home in a year or two, a fresh coat of a neutral toned paint could make the sale easier. A professional exterior paint job may also recoup close to 75% of its cost. Let's face it- we all like things fresh-looking. With just a few basic improvements, your kitchen can practically pay! New paint, wallpaper and fluorine are always appreciated Plus, you might even consider sending staining or painting worn looking cabinets. Replacing old cabinet hardware is a low-cost improvement that makes a big difference in appearance. According to the Remodeling Magazine 2013 cost vs Value Report, the average spent on a major kitchen remodel is around $54,000, while a minor one averaged $18,000. The full kitchen remodeling recouped 69% of it's cost and the minor remodel was valued at 75 %. Generally speaking, increasing the functional space of your home hold its value longer than remodeling just to make a house look better. It's also much less expensive than adding an addition to your home. Remodeling Magazine reports that converting attic space into a bedroom, for example, usually cost around $48,000 and returns about 73% of that cost. Turning your basement into extra living space cost about 60 $1000 with a recoup average of 70 percent. At an average cost of $37,500 the new bathroom addition can recoup about 55 percent of its total cost according to the Remodeling Magazine. Adding a deck is a very cost-efficient way to add square footage to your house. Remodeling Magazine estimates that wood decks cost around $9,300 and generally recoup 77% percent of their value. Compared to other outdoor improvements, that's an excellent return! Your utility bill savings may make up for the iffy resale value. However, a good set of standard windows should get you around 73% percent back. If you start getting too fancy with custom shapes and sizes, though, don't expect to get as much in return. In a word. Don't do it! Unless you are putting it in for you and your family to enjoy, it's commonly agreed that a swimming pool has no resale value at all. Reason #1? Sure, they sound nice but pulls are very expensive to maintain. Running a close second is the fear of pool accidents-that's something nobody wants to experience. Another nicety, but who's going to spend all that time and money? If the potential buyer is not horticulturally inclined, chances are your floral handiwork won't add to the offering price. The same can be said for expensive fences and stoned walls- they look nice, but buyers don't pay up for them. 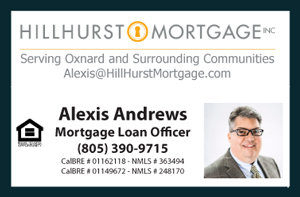 If you plan to sell your home and need merchendising tips, a pricing strategy or have any concern regarding the sale of you home please feel free to contact me for a Free No Obligation Consultation (805) 444-6366.